Incredibly beautiful! The picture tells the story! No cracks or hairlines. New capacitors. Tubes are strong. Loads from the bottom with top hand hold for carrying. 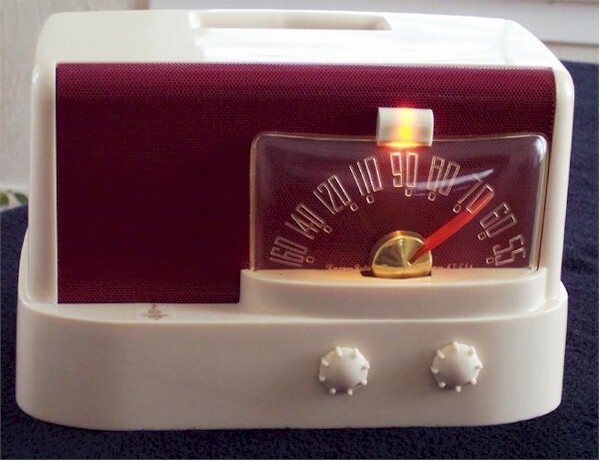 This radio is off the scale with absolutely minimal wear. If you'd like additional pics please let me know. You are visitor number 3,094 to this page.